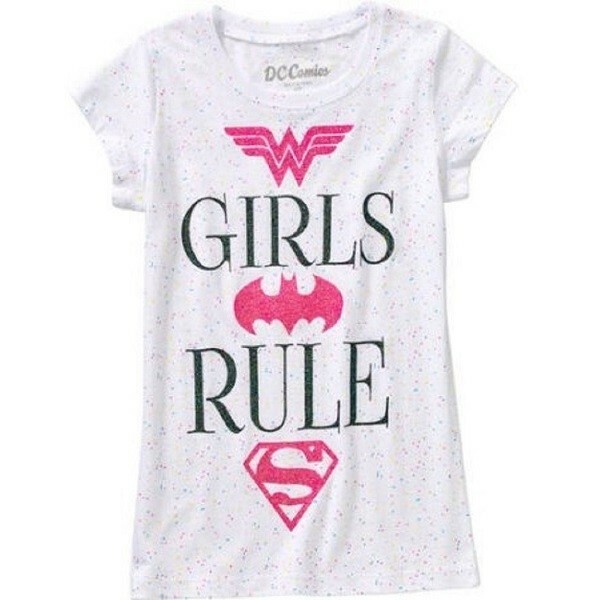 Celebrate the power of girls with this shirt celebrating the heroes of the DC Super Hero Girls! 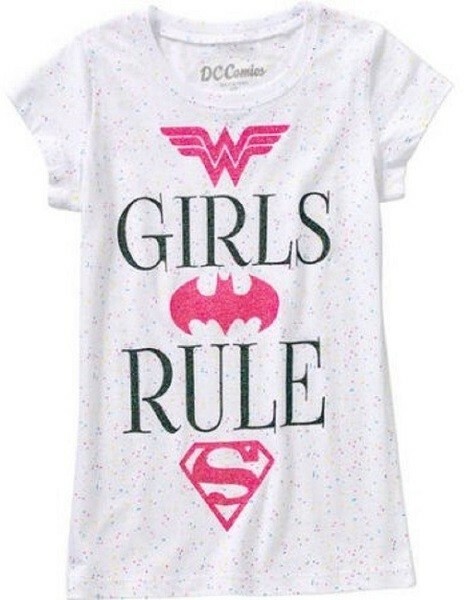 This white shirt has a confetti background effect and glitter accents featuring symbols for Wonder Woman, Supergirl, and Batgirl. It reminds everyone who sees her that "Girls Rule"! This shirt are available in sizes from 6/6X to 14/16. For more empowering clothing options for Mighty Girls (and women!) visit our Clothing Collection.